I used to have Christmas card guilt. I love receiving photo cards from friends and family, but I always felt bad putting the cards in a basket. It seemed like such a waste! 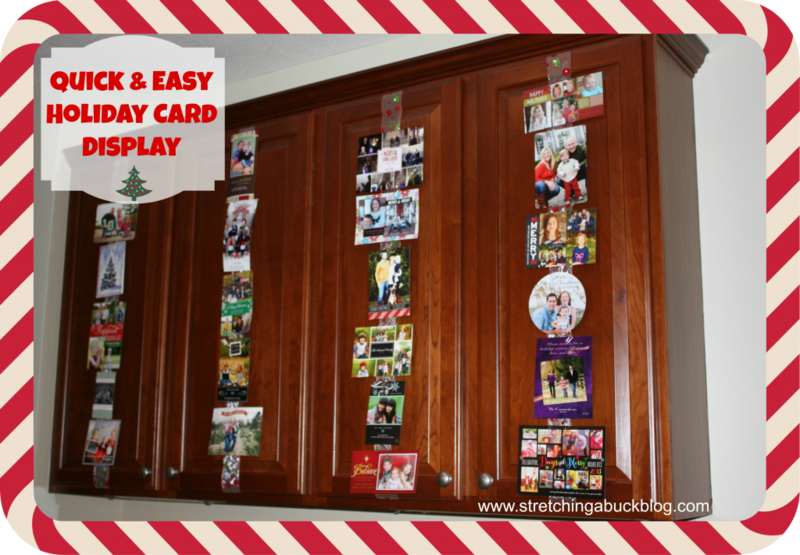 Then, a couple of years ago I found this super cute, quick and easy DIY Holiday Christmas Card Display Idea on Pinterest (follow me here), and it’s one of my favorite holiday “decorations”. I love having all of the photo cards that I receive out on display, and guests to our home seem to enjoy looking at them as well. The best part is, this project is extremely easy AND affordable! All that I did to create this DIY Christmas Card Display was purchase to purchase pretty ribbon at Hobby Lobby (using a coupon). Measure your cabinets before you go so that you’ll know how much ribbon you need. My cabinets are tall, so mine took a little bit more. And that’s it! I use small paper clips to hang my cards on the ribbon. 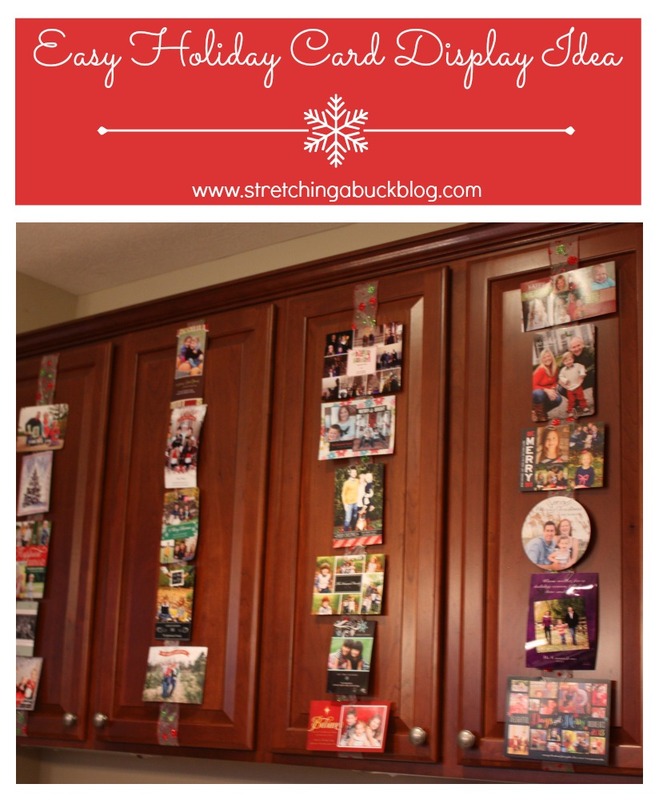 If you need more display space, of if you have fewer cabinets to “wrap”, try running a smaller piece of ribbon horizontally to give yourself more space to clip cards. 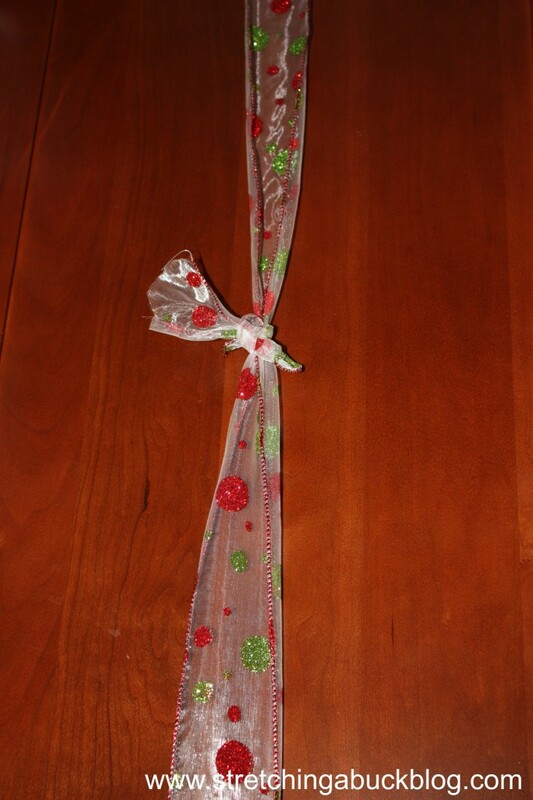 Plus your ribbon will make your cabinet doors look like a wrapped package. You can use this method on full sized doors, pantry doors and more. You are only limited by your imagination! At the end of the holiday season, I store my cabinet ribbon and paper clips in a zippered baggie. I place the baggie in one of my holiday storage totes to reuse the following year. You can easily switch out your ribbon when you are bored with it, and it’ll cost you very little. Aren’t inexpensive DIY decorating projects great?! Find more Christmas Ideas, Recipes, Money Saving Tips + More here. Find more Christmas gift ideas, recipes, money saving tips + more here.